Alexander Wang's shorts made their debut on a rainy South Street Seaport rooftop in the Big Apple as part of the designer's 'Collection 1' drop, which honors American rock 'n' roll. 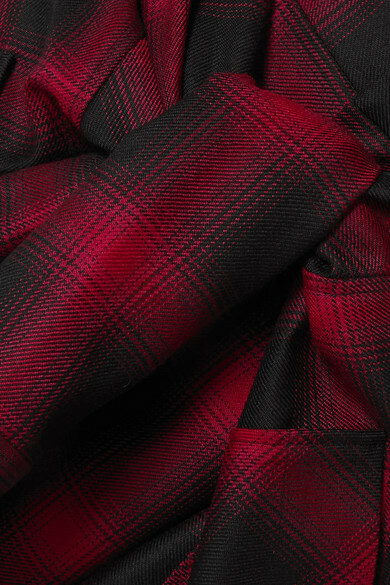 They're made from a red and black wool-flannel and cut to resemble a checked shirt that's been tied around your waist. Echo the show with sports socks and chunky sneakers. 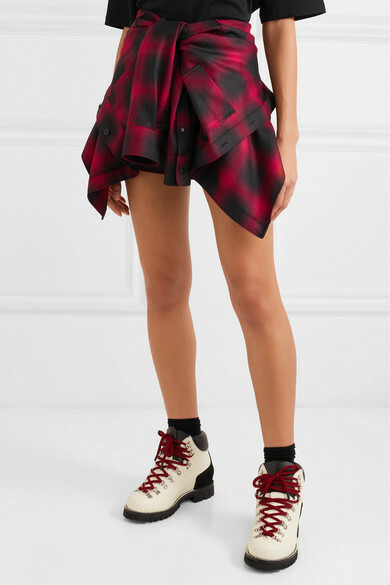 Shown here with: Ninety Percent T-shirt, Alexander Wang Shoulder bag, Proenza Schouler Ankle boots.